The curious distortion of Lee’s airbrushed body says something about his cinematic popularity. Is he still with us? Should we light an incense stick to his memory? Why not? Bruce changed the world. He revised the image of the downtrodden who re-emerges and makes his way to victory. He brought a pair of cultures together—internally and externally—at just the perfect moment in history. And, some will say, he made a significant leap forward when he introduced the yellow jump suit into costumery. Bruce brought humor, galantry, wit, physical excellence, tactical intelligence and more to his screen image and to his public presentation. In short, he crushed just about every “old man of Asia” image he could. 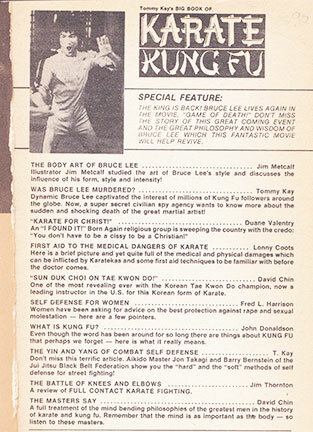 As in the Chinese Connection, he took on so many opponents that,even as it exceeded cinematic plausibility, he nonetheless made it all somehow believable. He was such a force of nature that it was difficult to define him or his message. Was he the “bad boy?” Superman? Robin Hood? 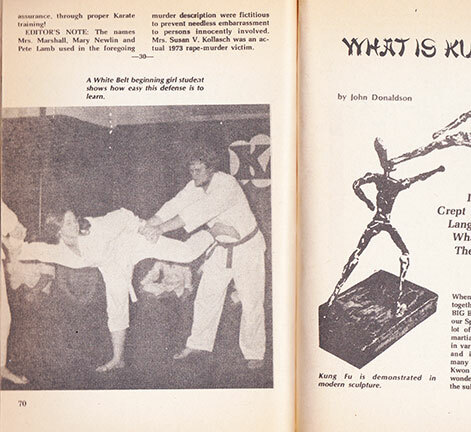 Little trashy books, like this “Big Book of Karate—Best Issue Yet,” came into existence entirely to spotlight him. Just reading the Table of Contents shows the strands of modernity beginning to entangle themselves to create the Blade Runner street market culture that is even now rolling itself out with steamed buns at midnight. This Chop Suey prose created its own special genre; not the sword-wielder of the novels, nor the tough guy of western Eastwoods. “The letter was from an agent stationed in Hong Kong to the director of this intelligence agency. 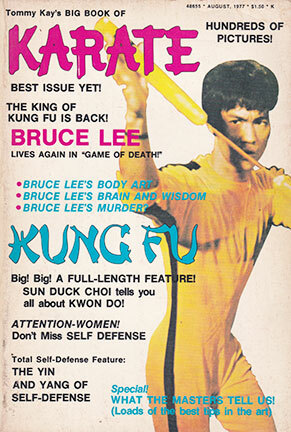 It said that the enclosed package contained a complete file report into the possibility that Martial Arts expert Bruce Lee may have been murdered! Posted April 2, 2019 by Plum Staff. Comments and trackbacks are open. Follow the comments feed. 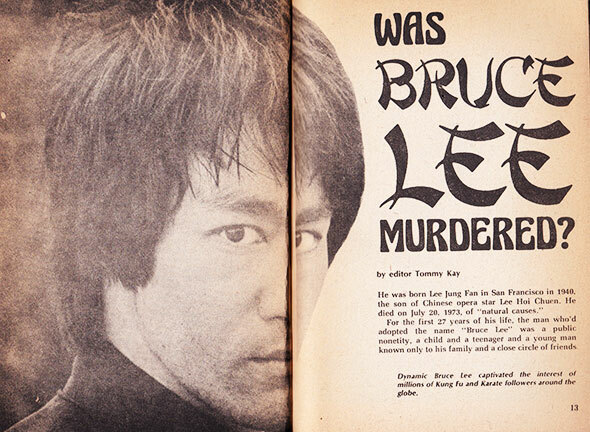 A very respectable, well-written, engrossing biography of Bruce Lee was published last year: “Bruce Lee–A Life” by Matthew Polly (Simon & Schuster, 2018). It is about as flim-flam-free as possible. One of the astounding discoveries I found in this book was the degree of racism against those of Chinese ethnicity on the west coast. I had no idea. Bruce was able to overcome that as well!